Two years of work has come to fruition with the release of Acunetix WebsiteDefender – a service to secure your website against hackers and malware. Where as Acunetix Web Vulnerability Scanner was designed for companies that have custom web applications, WebsiteDefender was designed to help smaller companies that use “out of the box” web applications keep their websites secure. 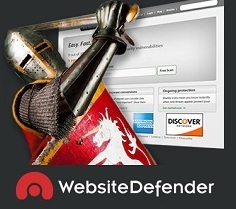 WebsiteDefender will alert against Malware and allow you to easily remove it. Malware infections can have all sorts of nasty effects, one of which is that your site will get banned from Google! WebsiteDefender also monitors for hacker activity and will alert you in time to be able to do something about it. Lastly, it will regularly backup your whole website, including Wordpress database, themes and plugins if you use Wordpress. Restoring your website can be done with a few mouse clicks. I think its a great new product - would love to hear your feedback! You can signup for a free initial scan here.